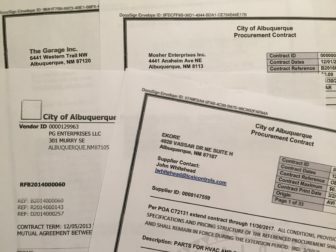 Albuquerque bans contributions to candidates for elective office from businesses or individuals who make money from city contracts, but that doesn’t prevent owners of those companies from giving to candidates in a different way. The practice is on stark display in a recent campaign report filed by mayoral candidate Brian Colón, who returned contributions from several companies with city contracts on September 12 and then accepted contributions from the owners of those companies about a week later. Owners are allowed to give as individuals or through other companies they own. In his report filed September 22, Colón showed he had returned contributions from contractors identified previously to him by KOB Channel 4, reported by KOB on September 19. The report also reflected that Colón had accepted contributions from the owners of those companies, as either individuals or through their other companies. He returned contributions of $5,000 from both Ekore and Mechanical Control Solutions, both of which have contracts with the city. He accepted contributions, in turn, from two companies that don’t have city contracts but share the same owner as Ekore and MCS, Steve Chavez. Those contributions, also for $5,000 each, were from Chavez companies SC3 International and Wisepies Franchise Services. The city checkbook, which is searchable online, shows the city has paid Ekore $57,210 since 2016. Mechanical Control Solutions entered into a maintenance contract with the city in 2016. Colón also returned $5,150 from PG Enterprises, and accepted $5,150 from PG Enterprises owner Payam Ghoreishi, who contributed as an individual. The city has paid PG Enterprises $83,018 since 2011. PG Enterprises is currently a vendor with the city, providing sand and gravel for the Biopark. Two contributions totaling $1,750 were returned to Star Paving company, whose owner, Joe Cruz, in turn made a $2,000 contribution to Colón. The city checkbook reflects payments of $14,952,266 to Star Paving Company since 2010, and $247,153 to “Star Paving Company, division of Cruz Corporation” since 2015. A Star Paving Company holds a current purchasing agreement with the city to provide asphalt. The ban on contractor contributions remains for the specific individual or entity who is actually contracted with the City at the time of the proposed contribution. However, the ban does not bar an individual contribution from someone who works for or is associated with an entity who is contracted with an LLC, e.g. an employee, an investor or a shareholder in a corporation, an officer or director of a corporation, an organizer or manager of an LLC, provided that the funds contributed are from the individual’s own income. 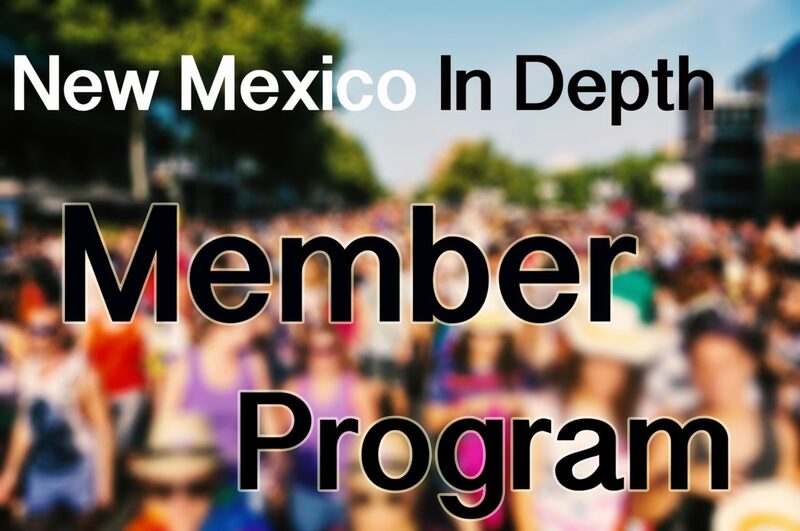 Colón told New Mexico In Depth that he supported the ban on contributions from city contractors, and that he works to make sure contributions to his campaign are compliant with regulations. “My campaign is fully compliant with the city election code and will always be completely transparent,” he said in a text message. KOB 4 also identified contributions from city contractors to mayoral candidates Dan Lewis and Wayne Johnson, but the September 22 reports filed by Lewis and Johnson don’t indicate that either have returned the contributions. The Garage, LLC contributed to $600 to Dan Lewis. That company has a current contract with the city, and has been paid $157,926 since 2010. Lewis also accepted $2,000 from PG Enterprises. 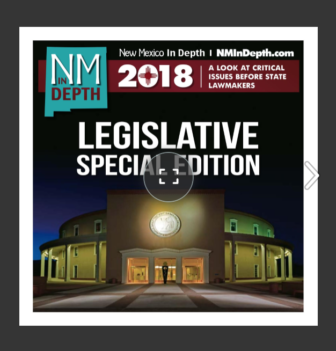 Lewis told New Mexico In Depth that he has returned the donations, and was surprised to hear that his last report didn’t reflect the returns. He speculated that the companies hadn’t cashed the return checks yet, or that the return happened just after the last report was due. It would be reflected in his next report, due this Friday, he said. Mosher Enterprises gave $5,000 to Wayne Johnson. Johnson said that the company and its legal counsel told him that the company did not have a current contract with the city. A current procurement contract with the city for on-call electrical services is reflected on the city website, but the city checkbook doesn’t reflect any payments to the company. Albuquerque progressive voters came out in force yesterday, giving State Auditor Tim Keller, a Democrat, just shy of 40 percent of the vote among eight competitors in the city’s mayoral election. Keller will face off in a runoff election Nov.